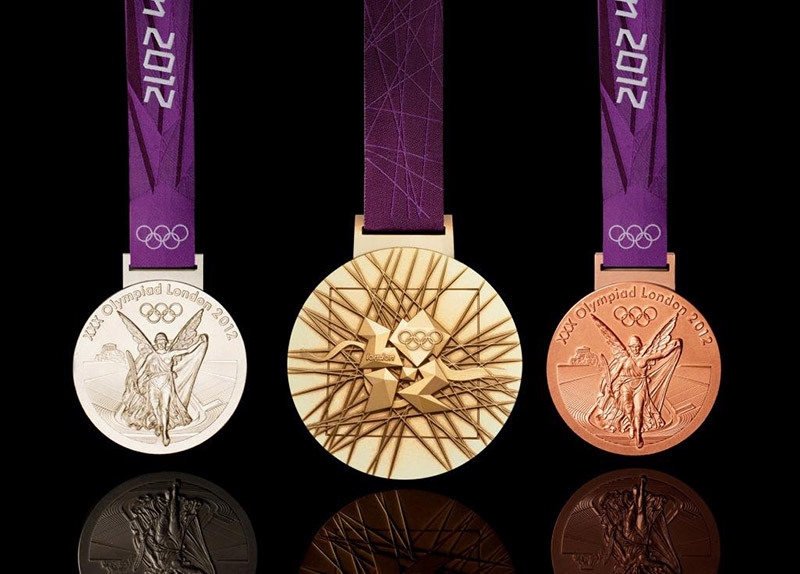 INTERESTING TIDBIT: The gold medal is really gold-plated silver--just 1.34% gold. 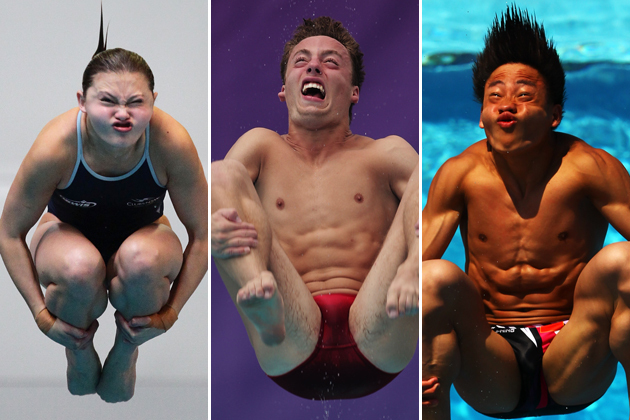 The last Olympic gold medals made entirely of gold were given out in the 1912 Stockholm games. Let's tackle the first question first. Why those three metals? To start with, bronze can be made by mixing copper with tiny amounts of other metals such as tin. Humans figured this out around 5000 years ago and it changed everything. 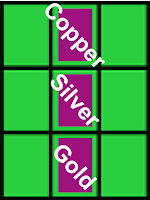 So instead of bronze, silver, and gold, let's talk about copper, silver, and gold. 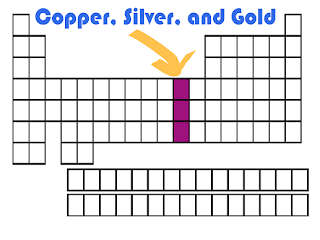 Those who know their periodic table will know that copper, silver, and gold all come in the same column. Elements in the same column generally have many similar properties. In this case, the most important property these metals share is the fact that they can be found naturally in their pure, "native" form. Most other metals are only found in their mineral form, and can only be obtained in pure form by producing them in crazy chemical reactions. As a result, copper, silver, and gold were three of the first metals that early humans could get their dirty little hands on. 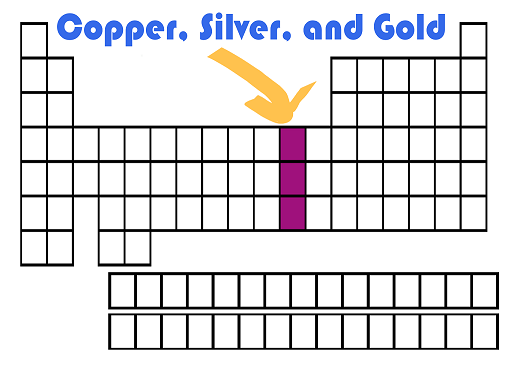 While gold is almost always found in pure form, silver and copper are more commonly found bonded to other atoms such as sulfur and oxygen in mineral deposits. Eventually we clever humans figured out how to make pure silver and copper (then bronze) from those mineral deposits, which led to the metals' widespread use as money, decorative things, and eventually Olympic medals. Another property that makes those metals especially awesome is their resistance to bonding with oxygen and sulfur in a process known as tarnishing. It happens, but slowly enough that products made from the metals are still useful. 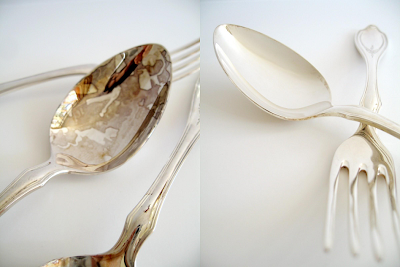 Tarnished silver (left) vs untarnished silver (right). Image via. 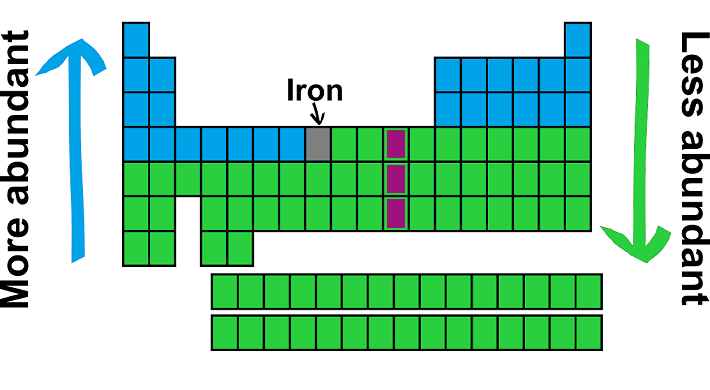 The result of this is that elements heavier than iron are less abundant than those lighter than iron. So, when that element-producing star reached the end of its life and exploded, it paved the way for the formation of our solar system in which elements towards the bottom of the periodic table (including copper, silver, and gold) are rare. Copper is the lightest of the three Olympic medal metals, and so is the most abundant, making up 0.0068% of the earth's crust. Silver is heavier than copper, lies just below it in the periodic table, and makes up 0.000008% of the earth's crust. Gold is the heaviest, lies near the bottom of the periodic table, and makes up only 0.0000004% of the earth's crust. So, the order of awesomeness of the Olympic medals is simply a function of their rarity relative to one another, which is caused by crazy stuff that happened billions of years ago inside a now long-dead star!!! 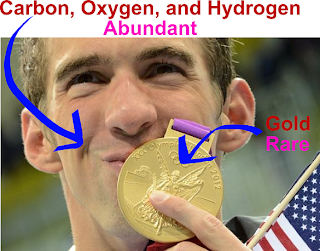 FINAL THOUGHT: Next time you see Michael Phelps holding his billionth gold medal, think about how he is a hunk of atoms of abundant elements from high on the periodic table (oxygen, carbon, hydrogen) holding a hunk of atoms of a rare elements from low on the periodic table. The periodic table is so awesome!!!!!!!! I think our posts complement each other nicely. Rad post. I like to think of Michael Phelps holding a gold medal like a bit of an exploded star holding another bit of an exploded star. Reunited! P.S. What do you think a creationist would think of your blog? Haven't had any creationists visit the blog, probably thanks to google filtering out all the factually based webpages from their searches. Having argued with a number of creationists in my day, I can say with certainty that I would not enjoy doing so online. WOOPS!!! I always mess that up. I've corrected the post. Thanks for reading & helping out! !